The apostle Paul wrote this letter about a.d. 48. 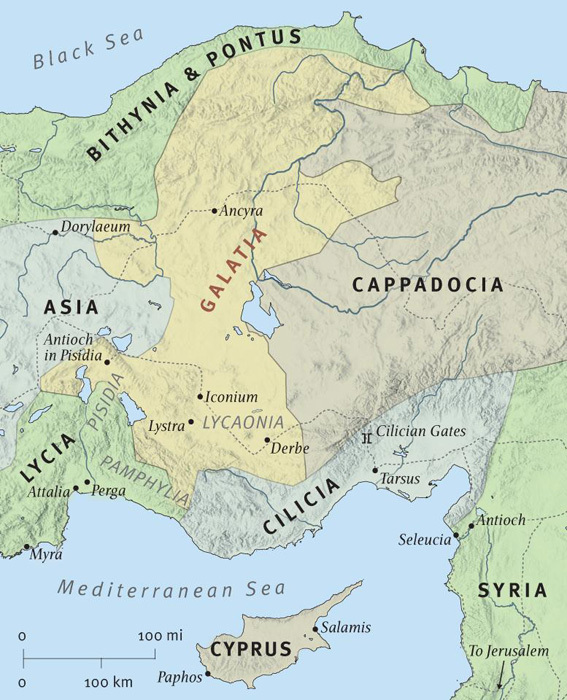 The Galatians are probably believers in the churches of the southern region of the Roman province of Galatia. Paul is more critical of his audience here than in any of his other letters. Christ’s death has brought in the age of the new covenant (3:23–26; 4:4–5, 24). People do not have to become Jews or follow the outward ceremonies of the Mosaic law in order to be Christians (2:3, 11–12, 14; 4:10). To require these things denies the heart of the gospel, which is justification by faith alone and not by keeping the “works of the law” (2:16). In this new age, Christians are to live in the guidance and power of the Spirit (chs. 5–6). In his sin-bearing death, Christ is a substitute for all Christians. He brings them into a new realm of freedom and life (1:4; 2:20; 3:13). The gospel of Christ comes from God alone—not from any human source. Paul himself is a living example of this. His conversion to Christ and his apostleship were not through human means. They came through direct revelation from Christ (1:1, 11–12, 15–20). Salvation comes not by works of law but by faith, which leads to justification (2:16). To require circumcision and other Mosaic laws as a supplement to faith is to fall back from the realm of grace and freedom and to come under the whole law and its curse, since perfect observance of the law is impossible (2:12–14, 16; 3:10; 4:10; 5:3). Old Testament Scripture itself testifies to the truth of justification by faith (Gen. 15:6; Hab. 2:4). Believers have died with Christ to sin and therefore have renounced the flesh (Gal. 5:24; 6:14). The Spirit is the source of power and guidance in the Christian life. He produces love and faith in the believer (5:6, 16, 18, 25). The Christian life is one of pleasing Christ. This requires willingness to suffer persecution for the sake of his cross (1:10; 6:12, 14). Paul’s letter to the Galatians was likely written to the churches he had established during his first missionary journey (Acts 13:1–14:28). 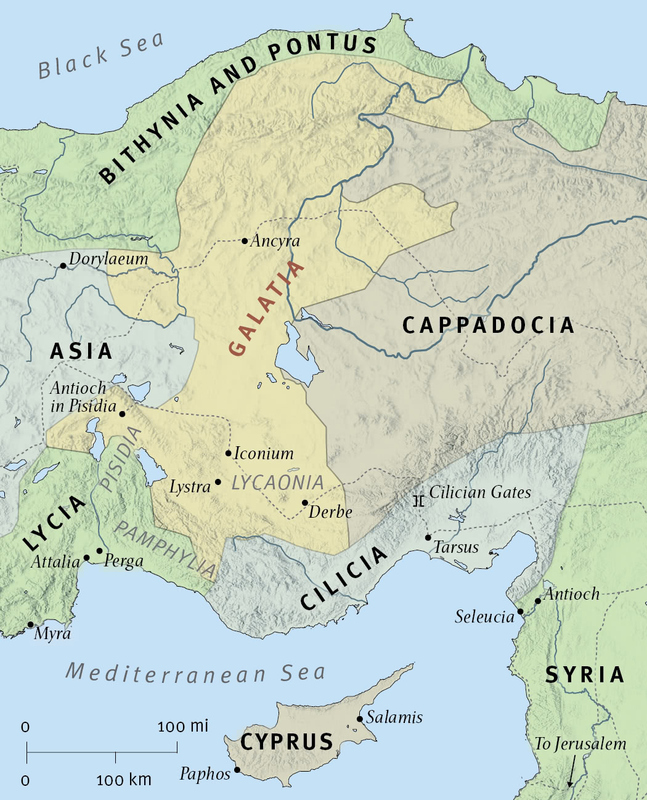 He probably wrote the letter from his home church in Antioch in Syria, sometime before the Jerusalem council (Acts 15:1–31).